Robert Hazen and colleague Yana Bromberg (Technical University of Munich / Rutgers University) are co-chairing the Organizing Committee for an upcoming workshop on data-driven discovery in the Earth sciences. The 4D Workshop: Deep-time Data Driven Discovery and the Evolution of Earth will be convened June 4-6, 2018 in Washington DC thanks to generous support from the Alfred P. Sloan Foundation, NASA, the Keck Foundation, the Earth Life Science Institute (Japan), the Carnegie Institution for Science, the Templeton Foundation, and others. Workshop organizers aim to explore ways to advance our understanding of Earth’s complex co-evolving geosphere and biosphere through the collection, analysis, and visualization of large and growing data resources. Thanks to years of intensive efforts in developing the Keck- and Sloan-supported Deep-Time Data Infrastructure (http://dtdi.carnegiescience.edu), which analyzes, quantifies, and visualizes Earth history as a system of patterned co-evolving networks, researchers are poised to make transformational advances in understanding the planet’s evolution. The 4D Workshop for Deep-Time Data Driven Discovery will be convened as prelude to a potential long-term program to invent, modify, and apply emerging methods of data analysis and visualization to elucidate the planet’s past, present, and future. Earth’s evolution has been an intertwined succession of increasingly complex physical, chemical, and biological events. Keys to discovery lie in the continued integration, development, and exploitation of data, facilities, and expertise. The 4D Workshop will gather bio-, geo-, and data experts from around the world to explore pathways to a deeper understanding of the origins and evolution of our home and ourselves. 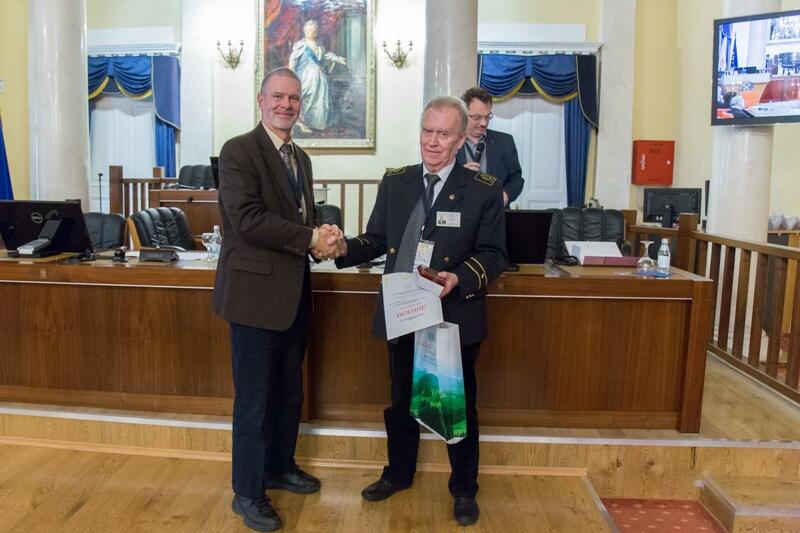 On October 13, 2017, Geophysical Laboratory Staff Scientist and Deep Carbon Observatory Executive Director Robert Hazen was awarded Honorary Membership in the Russian Mineralogical Society (RMS) for his “outstanding contributions to crystal chemistry of minerals under extreme conditions and theories of mineral evolution and ecology.” The award was presented during the RMS bicentennial meeting, held in St. Petersburg, Russia, where the society was first established in 1817. During the meeting, Hazen presented a plenary lecture on data-driven discovery in mineralogy. The RMS is the world’s oldest currently active mineralogical society. Honorary foreign membership is a rare distinction that has been awarded only 135 times in the society’s 200-year history. Hazen joins the ranks of many notable past recipients, including William Bragg, Victor Goldschmidt, Johann Wolfgang von Goethe, Alexander von Humboldt, and James Dwight Dana, as well as Geophysical Laboratory scientists Arthur Day, Norman Bowen, and Hatten S. Yoder Jr. 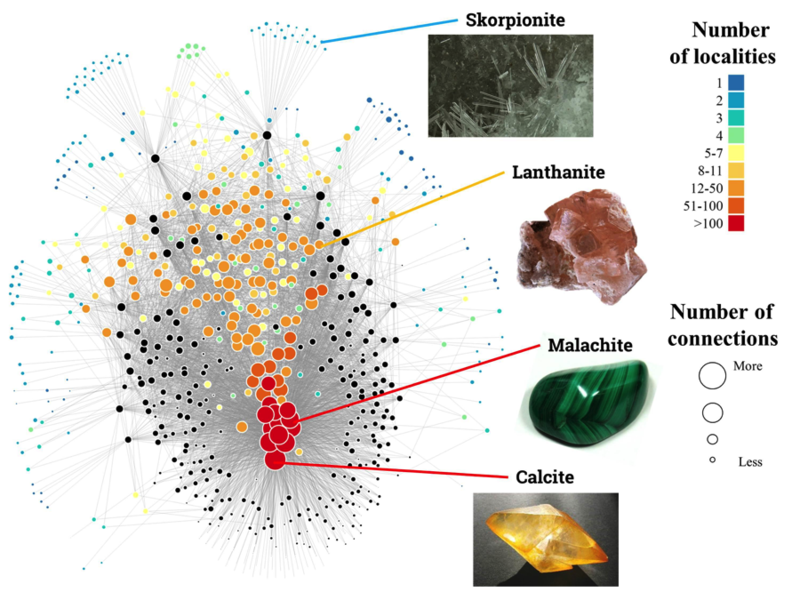 In a paper published by American Mineralogist, Hazen and colleagues report the first application to mineralogy of network theory (best known for analysis of e.g. the spread of disease, terrorist networks, or Facebook connections). In June 2017, Robert Hazen participated in a question and answer with NSF's Rob Margetta on deep carbon science, data-driven discovery, and the future of interdisciplinary science. About deep carbon, Hazen says: "Ninety percent of Earth's carbon is beneath Earth's surface, in hidden reservoirs. We're not exactly sure what those look like or how much carbon is down there, because it is stored in various forms and moves around as part of a deep carbon cycle. However, important exchanges between carbon on the surface and the deep interior happen through a process called subduction, driven by plate tectonics, and through volcanism and other processes. We really have to understand those aspects of the carbon cycle." Hazen also describes his vision for the future of science, which he thinks will rely on early career researchers and big data resources that allow anyone with a laptop to be a scientist. "We see an opportunity to build an international network of early career scientists immersed in this idea of cross-disciplinary science. Imagine when our vision for a vast data network is in place, with open access and new data tools -- as long as you have a laptop and internet access you can make discoveries. This is such a democratic approach to science. You don't need expensive equipment located in one place in the world. Data sharing could open science to people regardless of their economic and physical environments." 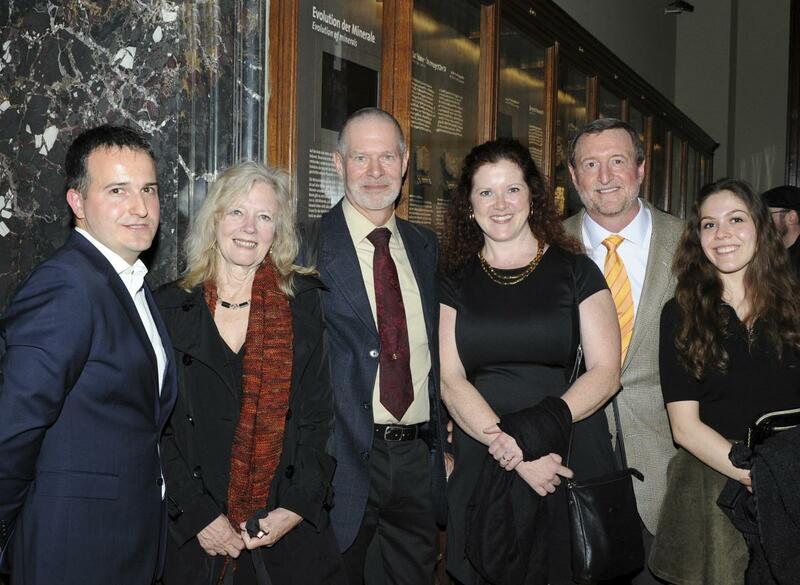 On April 5, 2017, the Natural History Museum in Vienna unveiled a new permanent exhibit based on Hazen's research. This exhibit will teach visitors about the changes in Earth's mineralogy through time, or "mineral evolution," an idea first proposed by Hazen in 2008. Hazen's research on mineral evolution demonstrates that Earth's mineralogy has changed through time due to varying physical, chemical, and biological processes. In particular, the emergence of life dramatically shaped Earth's mineralogy -- without life, an estimated 60% of our planet's mineral species would not exist. “There’s a growing awareness of the dramatic changes in Earth’s mineralogy over the past 4.5 billion years. 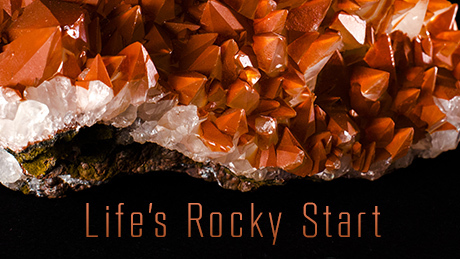 Remarkably, that epic “mineral evolution” story is as much about life as it is about rock. 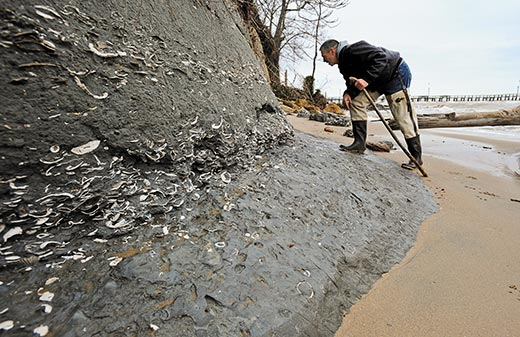 We now realize that minerals and life co-evolved,” says Hazen. The grand opening included a press conference and a public lecture by Hazen.